Detonating malware in a sandbox is one way to prevent threats from entering your network. If you rely solely on it to protect against advanced threats, you may have a big hole in your security program. 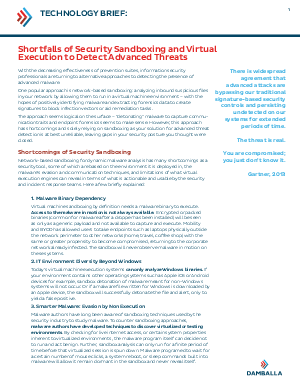 Learn six ways sandboxing can you leave your network vulnerable.